This is my daughter, Marcy. 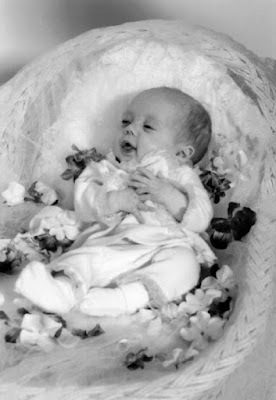 Marcy was born premature and only lived a short 5.5 months. In the short time I had her on Earth, I was blessed more than I could ever imagine. There is just something wonderful about having a daughter. As much as I learned with her here - I have learned so much more through her passing away. I learned that it is ok not to be okay all the time. She taught me compassion and empathy. She taught me that tiny little lives can make huge impacts. Being her Momma has changed me at my core. I know the joy of motherhood but also the deep darkness of loss. I am so grateful for this little girl. I am a better person because of her.